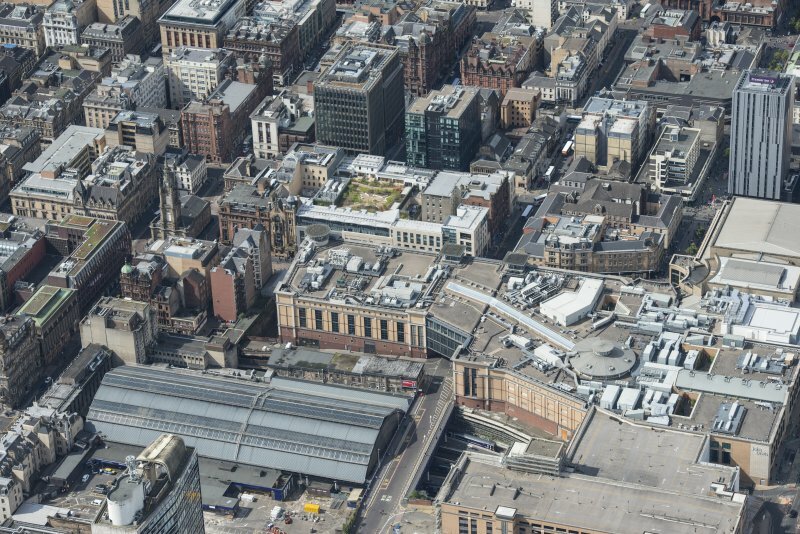 Oblique aerial view of the Britannia Building, looking NW. 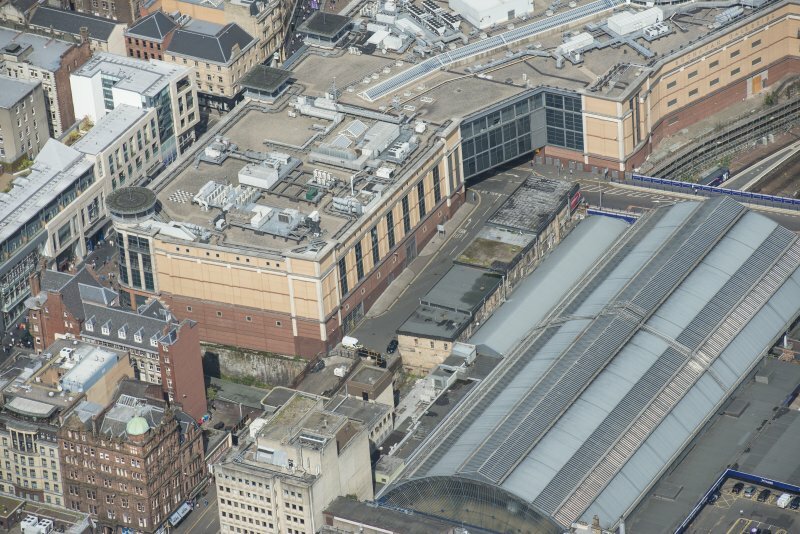 Oblique aerial view of central Glasgow, looking WSW. 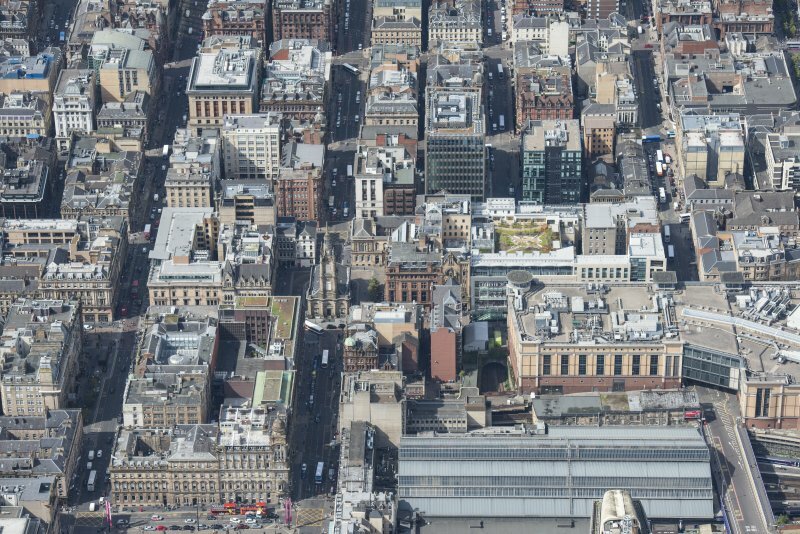 Oblique aerial view of central Glasgow, looking WNW. 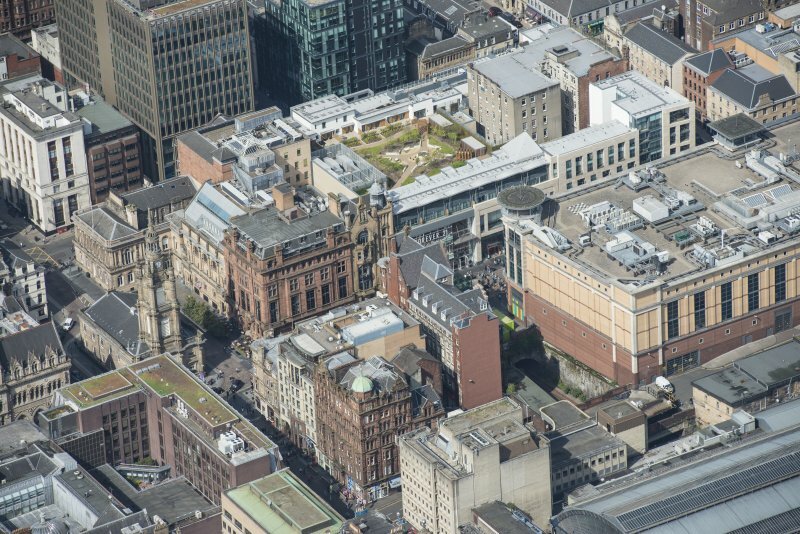 Oblique aerial view of the Britannia Building, St George's Tron Parish Church and Nelson Mandela Place, looking WNW. Architect: John A Campbell, 1898.